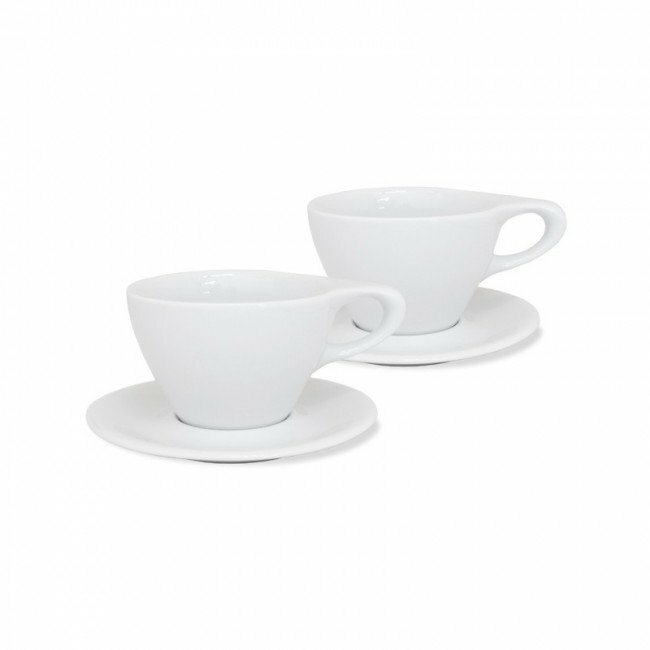 The Lino Cup and Saucer set of two comes in three perfect sizes: Espresso, Cappuccino and Latte! More than just a pretty porcelain mug, these cups were created with great care and attention to the sensory experience of drinking coffee. How the coffee is poured into the cup, how the handle feels in your hand and how your nose takes in the aroma were carefully considered in this collaboration between Seattle coffee lovers and Italian coffee roasters. Giftable - A thoughtful gift for any occasion and suitable for any coffee connoisseur! Well Balanced - The proportions walk a fine line--neither too chunky nor too delicate. These are just right to cup in the palm of your hand and hook a finger through the handle. Far From Ordinary - Elevate your coffee quaffing from the ordinary to the extraordinary with these stylish cups. 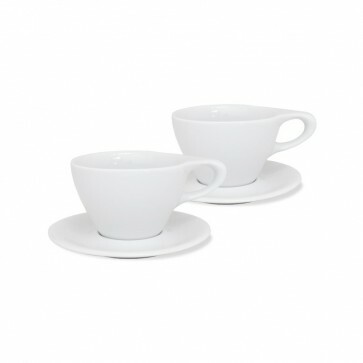 Neutral - The Lino cup and saucer sets come in white porcelain with no other color options. Pretty porcelain cups are sturdier than a ceramic mug and more stylish than run of the mill bistro ware.